That hardware-centric model is slowly giving way to a software-oriented approach that builds upon key virtualization concepts. Network functions virtualization (NFV) replaces dedicated appliances with software running as virtual machines on commodity servers. As a result, NFV enables organizations to reduce the amount of hardware in their network environment and the costs and complexity that go along with it. NFV is closely related to software-defined networking (SDN), which also involves the decoupling of network services from hardware. However, SDN is focused on the control of the network — policy-based management of network devices is handled by software, enabling a centralized view of network resources and a high degree of automation. NFV is concerned with the optimized delivery of network services through virtualization and consolidation. In essence, NFV works the same way as server virtualization — a hypervisor separates operating systems and applications from hardware, so that one server can run multiple virtual workloads. The guest virtual machines share the physical resources of the server. With NFV, a network hypervisor encapsulates the software that delivers the virtualized network functions (VNFs), which run on a commodity hardware platform. One NFV platform can host multiple VNFs. NFV Management and Organization (MANO) is a framework for provisioning, managing and orchestrating VNFs, and controlling and managing the compute, storage and network resources that support them. The reference architecture was developed by the NFV MANO working group of the European Telecommunications Standards Institute Industry Specification Group. All of this is highly complex, and designed for a service provider environment. However, enterprise-class solutions are emerging that provide a fully integrated and optimized software stack that can run on various physical platforms. A graphical user interface makes it easy for network managers to provision network services based upon predefined templates. Software automatically installs the VNF on an available virtual machine and configures it according to established profiles. Like server virtualization, NFV enables organizations to reduce capital investments in hardware, and the power and space requirements that go along with it. NFV also decreases management complexity — network administrators gain a consistent, unified platform that eliminates the need to learn multiple device interfaces and operating systems. As a result, enterprises can cut operational costs by up to 50 percent with NFV, according to ZK Research. NFV increases IT agility by enabling administrators to spin up network services on demand instead of purchasing, installing and testing a different appliance for each function. Automation and orchestration features improve network availability by reducing maintenance windows and allowing for faster response to issues. Organizations with remote office/branch office operations can derive even greater value from NFV. Traditional network appliances typically require a “truck roll” to each site for implementation and configuration. With NFV, network services can be deployed in minutes and managed remotely across all locations. Industry analyst reports on NFV adoption focus on the service provider sector, which currently accounts for almost all of the market. However, enterprises are starting to take a look at NFV. 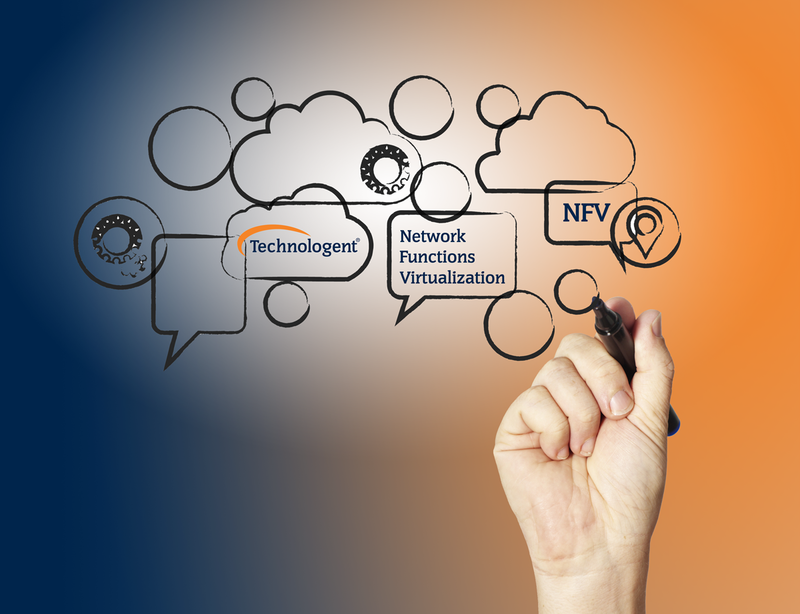 Technologent’s team of experienced and certified experts can help you determine if enterprise NFV is right for your environment.